I think I know which one wins. 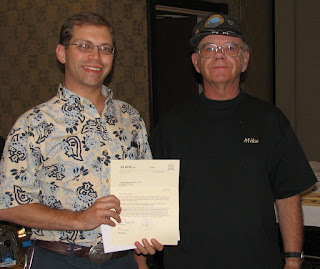 Last fall I attended the Gun Blogger Rendezvous, an annual fundraiser for Project Valour IT, a worthy cause if ever there was. The big money maker here is the raffle which features products from various firearm and shooting sport manufacturers. 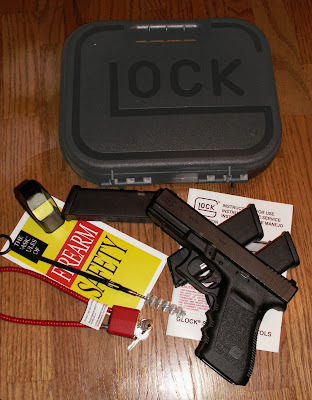 They all deserve considerable applause for their contributions, but today’s post is dedicated to the fine folks at GLOCK who donated the pistol that I won in the raffle. First things first, I received a certificate for a free pistol from Glock. I paid a very reasonable charge to upgrade to a Glock 21 (45ACP) with night sights, but the overall cost was dramatically lower than buying the firearm. This certificate came through the raffle at the GBR, so Glock did not choose me to receive this; they did not ask me to write about it; they did not require that I advertise, glamorize, publicize, or otherwise promote their products. I’ll leave it to you to judge how biased or unbiased my review is. I’ve had very little prior experience with Glocks. 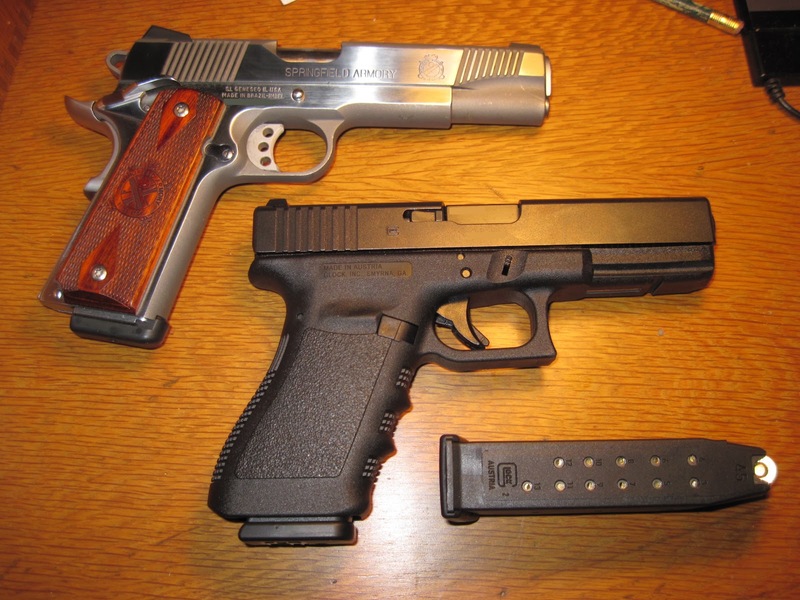 The first time I handled one was when a friend of mine showed me a used 9mm he bought. I recall thinking that the sights were difficult to pick up quickly, making accurate shooting difficult. The trigger pull did not impress me too much either but then again it was used, probably not in the best condition. Since then I’ve mostly stuck to single action automatics rather than striker fire. So it shouldn’t be surprising that I had mixed emotions about getting this new ‘plastic’ gun. The folks at Glock were courteous and very efficient. They shipped the pistol quickly, so quickly in fact that it was on the way before I could give my FFL dealer proper warning. It arrived though, in nice pristine condition with a cleverly designed plastic case, three mags, a loader, a bore brush, and a cable lock to add to my collection of legislatively mandated safety accessories. The exterior appearance is all business with a matte black finish on the metal parts and texture molded into grips. The upgraded sights show up well against the dark slide. The inserts glow brightly in low light, so much so that I can spot it on the nightstand easily when the lights are out. Size wise the grip is slightly wider (front to back) than your typical M1911 and the thickness is a little less than the usual M1911. The real difference comes in when you look at the profile. 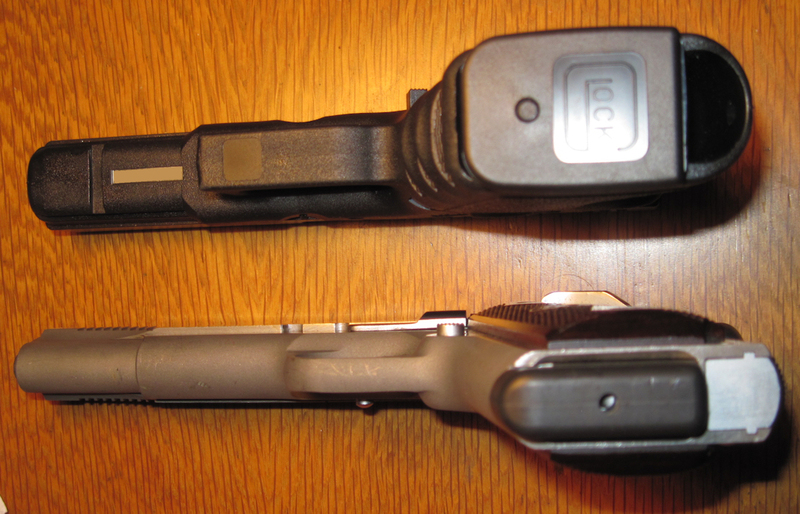 The double stack magazine requires quite a bit of space so the grip cross section is more square than that of a firearm designed for single stack mags. This results in a perimeter that’s roughly .87” larger than the M1911 (that’s if you ignore the ergonomic ridges. Personally I was quite pleased with the fit in my hand. I’ve always found the M1911 grip to be not quite ‘meaty’ enough to make my hand fall in the right position. The extra perimeter of the Glock grip put my trigger finger in the right position without any special fiddling on my part. The size of the Glock 21 limits its usefulness as a concealed carry piece. If you have a large frame you’re probably able to conceal it reasonably well, but my 5’8”/150 (ok 155) frame doesn’t offer quite enough real-estate for me to wear it discreetly unless I can cover it with a loose fitting jacket. That said, being chambered in .45 ACP with a magazine capacity of 13 rounds makes it an excellent sidearm for self-defense in the home or wherever you take it. Out of the box it functioned perfectly. I’m not surprised; after all, Glock has developed a reputation for very reliable firearms. I’ve fed several kinds of ammo through it with no discernible difference in feeding or operation. I did get bopped in the head a few times by flying brass, but who hasn’t had that happen before? A search of YouTube will probably turn up a torture test or two showing how many rounds a Glock can fire without cleaning, what kinds of mud and sand it will eat without jamming, and similar such forms of abuse which far exceed any realistic demand on a sidearm. I would add however, that if you’re spending plenty of time outdoors where your sidearm might get extra exposure to the elements and go extended periods without cleaning you could be pretty confident in the continued reliability of this pistol. In other words, if you intend to be hiking, boating, or 4-wheeling in remote areas for an extended period, this wouldn’t be a bad item to have in your kit. Functionally, there isn’t much in the way of exterior controls. You have a slide release and a mag release in the normal positions plus the take-down catches just in front of the trigger. The slide release is slightly smaller than on the M1911 but large enough for me to use easily after getting acclimated. The mag release button is sizable and easy to find without looking. Both are rounded enough to keep them from snagging on anything while being drawn. The point of impact is aligned with the top of the sight at about 15 yards, slightly lower at shorter ranges, but not enough to bother compensating. I’m quite certain it is more accurate than I am because when I take my time I can hit a 2 or 3 inch circle at 15 yards. Naturally the groups open up considerably when stringing shots, but it’s easily accurate enough to shoot steel or use for personal protection. 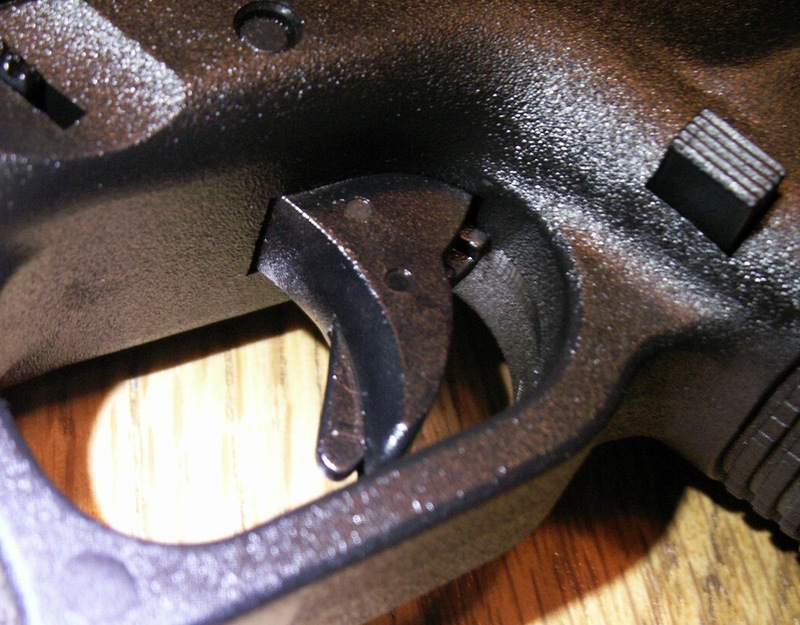 The muzzle flip is not anything unusual, though it does vary a bit over the course of a magazine because of the difference in weight when empty as opposed to being loaded with 13 rounds. Even at its most severe it’s more controllable than your typical compact 45. The trigger is much better than I had expected. As I said at the beginning, my experience with Glocks was very limited and had left me a little sour on striker fired designs. The quality of the trigger pull actually shocked me when I first tried it. The stroke was smooth and quite light, the break was very clean and the difference in resistance between the two was enough to allow two very distinct motions. By the time I was through with the first magazine, the act of drawing the trigger back and holding it just before the break became so natural that it required no thought at all and I was able to switch back and forth between this and a single action trigger without hesitation. If my early experience with a Glock had been like this, there’s a good chance I would have been shopping for one some time ago. 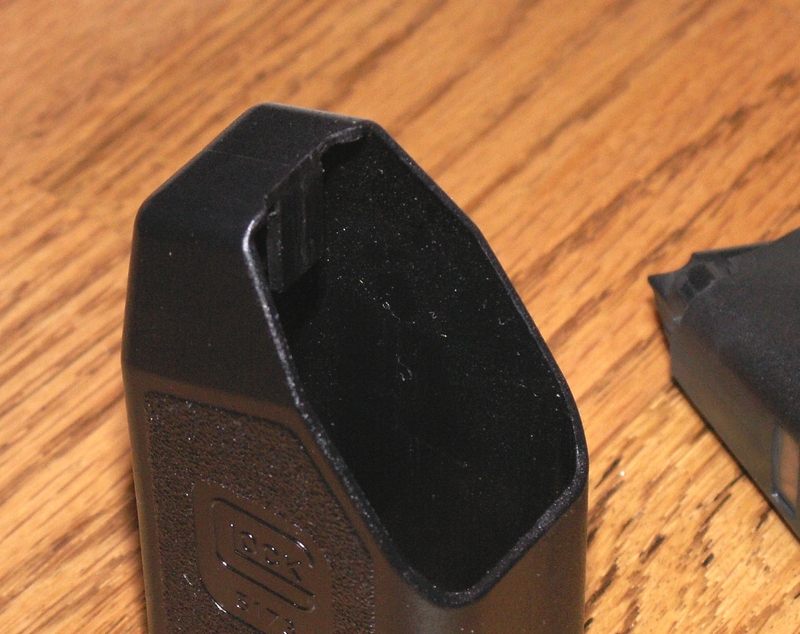 First a very minor issue, the magazine loader has a small lip in the front that keeps cartridges from engaging the lip of the magazine adequately. One minute with a pocket knife and you can put a notch into this which will make it much easier fill your magazines. Also, I have a personal preference for serrations in the front of the slide. I don’t believe this is a factory option on any Glocks and I think that’s a bit of a shame, but there’s nothing particularly wrong with that. I’m just being picky. This is the only really negative thing that I am going to say: a pistol like this needs additional external safety features. Does that mean it’s unsafe? NO. It means that if you want to carry a Glock safely you must rely upon a holster to be your external safety device. In other words, you’re counting on the holster to keep the trigger from being pressed. 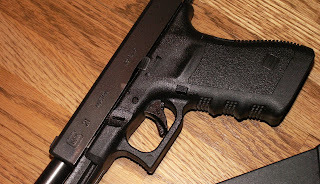 I’m not picking on Glock specifically here because if I had my preference, I would want some kind of external safety on any autoloading pistol. I know about the Glock “Safe Action” and I think it’s a nifty design but the fact remains that anything which pushes the trigger can discharge the firearm. Consequently, whenever you are putting a Glock into the holster the gun is still ‘hot’ and that requires some additional precautions. No matter how skilled and how well trained you are, there’s a good chance that someday when you holster your sidearm the trigger will catch on your clothing, your holster, or the trigger finger that you inadvertently left inside the guard. If you’re lucky you just scare yourself, if you’re unlucky you hit an artery or end up starring in a YouTube video where you’re yelling about the manner in which you just shot yourself. So when selecting a holster for a firearm like this make sure it’s easy to take on and off because if you’ve drawn your firearm, you’ll want to be able to remove your holster, holster your weapon in a safe direction, and replace the holstered firearm without disturbing it. In fact this is a good rule for any firearm you may need to re-holster after you’ve dressed for the day. Now that I’ve scared you sufficiently let me say again that I have no qualms about owning, using, and carrying this firearm. You just have to make sure you’re doing it properly so that you can stay safe. Field stripping and cleaning is very straightforward. Drop the magazine, check that the chamber is empty, check that the chamber is empty again, point in a safe direction and pull the trigger. Then pull the slide back slightly to take the pressure off the stop. 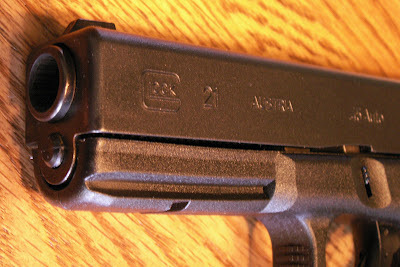 Pull down on both of the takedown catches located forward of the trigger and move the slide forward until it comes off. The spring, guide rod and barrel come right out of the slide and you have access to almost everything for cleaning. 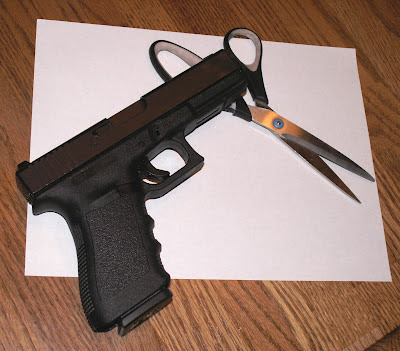 If you want to detail strip, you can, but considering the abuse most Glocks are put through, I would just stick with field stripping, swabbing the barrel and hosing the rest out with a little CLP. Reassembly is even easier. 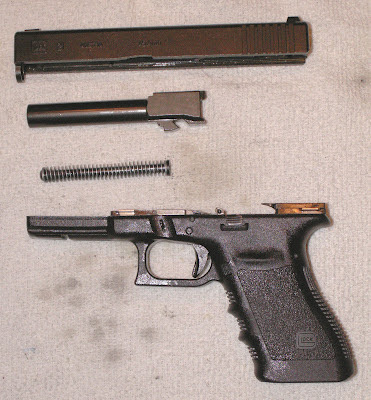 Once you get the barrel, guide rod, and recoil spring back into the slide, just put the slide on the front of the frame and pull it all the way back. You’re done! 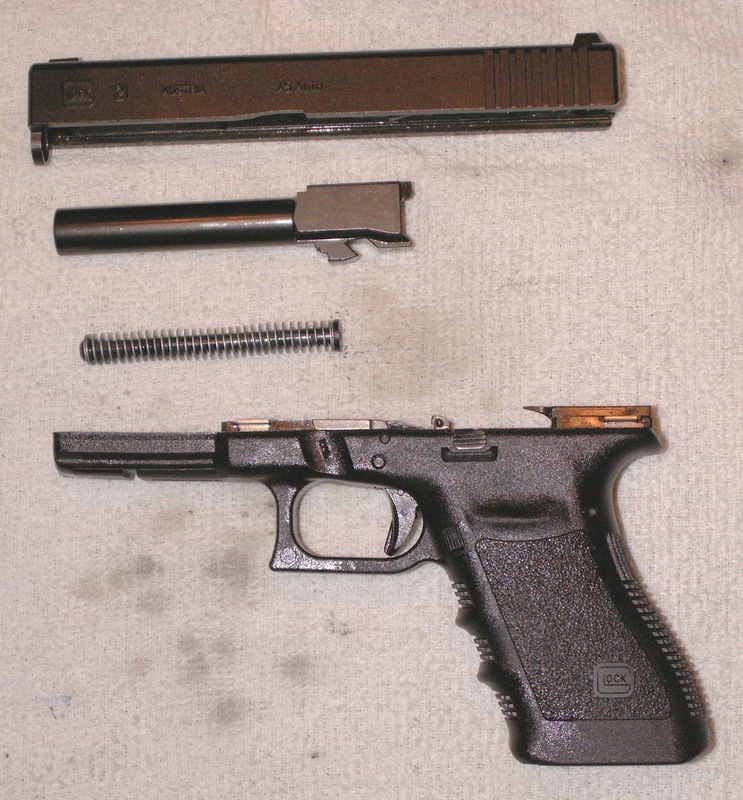 It’s so simple it makes me wonder why some people brag about how many rounds their Glock can go without cleaning. All-in-all I must say, I’ve been really impressed by my new Glock 21. My concerns about ergonomics and trigger pull vanished as soon as I tried it. If you’re thinking about getting one of these for yourself, it certainly wouldn’t hurt to compare your grip on the standard Glock 21 with the ‘SF’ model. These models have a slightly smaller grip made for people who don’t feel as comfortable with the full sized design. I tried it and I think the difference is small, but discernible. (The SF feels a bit like a 1911 to me, just without the swell in the middle of the grip.) Either one is quite comfortable, and if mine is any indicator, very fun to shoot! Thanks again to the folks at Glock for donating this pistol to the raffle at the GBR! That was an excellent view of a firearm that surprised me. I'd not been a fan of Glocks at all, but I found that model to be comfortable to shoot, with a good trigger and sight picture. Thanks for letting me try it! Check out Cope Reynolds and the Southwest Shooting Authority (Pinetop, Arizona)... he does a lot of work on Glocks, including the forward cocking serrations. Thanks B. Glad you liked it. I took a peak at the Glocksmith. Looks pretty good, though I did burn my eyes on a picture of a pink camo glock. I may consider having the slide worked over in the future. I've owned a 17, 26 and a 30. All good 'of type'. I want(ed) a 21, but the trigger reach is just a hair to long to be proper. If that pink camo Glock shows up in my Christmas stocking you are SO in trouble. My dept switched to Glock 27 & 23 about 12 years ago, from S&W semi's. I was assigned to another department that allowed me to transition even earlier first to a 17, then to a 26. The building where I'm stationed has uniformed officers, that have recently transitioned from used 9mm Sig's to G30's. Am considering switching too, as I'm more in building then out. @Brigid, The paracord bracelets, in ever growing variations, continue to gain in popularity when folks see how easy they can be to construct, with the added utility of being able to take 'em apart for a useful bit of cord in a pinch. Sounds like you got a much better trigger on that one than the one I tried out back in '08, the trigger on that one was not so good. I basically got got twice the spread radius on my shots with it compared to the beretta 92FS I tried in the same place. Armed, Look hard at the SF models, I bet you'll find they work for you. SD, I must admit I'm surprised at how much I liked it. If you can find a good one, they are a load of fun. Mikael, As I said, my first experience was not great. Striker fire, like double action, can get ugly when you get burrs or excess buildup on the sliding surfaces. That's probably why there is so much info availible on polishing the internals. Only problem with that is that I doubt most people have the knowledge or experience to polish the sear surfaces without putting themselves at risk. Still, cleaning up the other moving parts is probably a good idea. That Glock is in prime condition. I want it. I was going to visit your dad's blog found out it is private now; did he have problems with some trolls or something? DC, why are there so many toys and so little cash? More complicated than that. Better email me off blog, or email him.